The objective of the Equipment Superintendent is to ensure that all equipment, fleet and facilities are performing effectively and efficiently at maximum benefit to the company. In order of priority the following are the major duties required of this position. Ensure that all of the equipment and the fleet are fully operational, safe, and performing at maximum benefit to the company, with first hand observation and verification. Ensure that all of the equipment and the fleet are maintained and repaired such that the primary objective is attained, by organizing, prioritizing, performing or overseeing all repairs and maintenance. Ensure that each facility is organized and managed for maximum benefit to the company, by knowing, organizing and controlling the inventory and assets that come, stay, and go, including personal site visits to the various sites. Track and record the location, availability and condition of each piece of equipment and fleet asset, making sure to note needed and completed maintenance and repairs. Track, monitor and record the defects, issues, repairs and maintenance on every piece of equipment and fleet vehicle. Have accurate and up to date information readily available. The Equipment Superintendent reports directly to the VP of Construction and works cooperatively with Project Managers, and the Purchasing and Equipment Manager. All equipment is readily available and operates properly when it is needed. Breakdowns are minimized and repaired immediately with minimal down time. Fleet vehicles are systematically maintained/repaired to maximize equipment life and minimize cost. Accurate and up to date records are created and maintained, on every piece of equipment and fleet vehicle, in an orderly and Systematic fashion that provides for information to be readily available. Facilities are maintained in a neat and clean, organized fashion. Inspect all equipment and vehicles systematically to determine if repairs or maintenance is needed. Accurate and up to records are available for all assets at each facility. Repairs and Maintenance are prioritized and coordinated so that projects are completed with minimal or no down time. Annual repairs/maintenance of all equipment is completed timely, cost effectively, in an organized fashion ensuring priority and long lead items are completed first. Prioritize staff mechanics so that repairs are prioritized and completed to avoid lost time on projects. Equipment that could NOT otherwise be rented is deemed more critical than items that could be supplied on a short term rental. Special and emergency projects assigned by management are handled timely. Must maintain a valid driver’s license and remain drug free. Working Conditions: Requires some travel throughout the southwest, outdoor jobsites, occasional night hours and weekends. 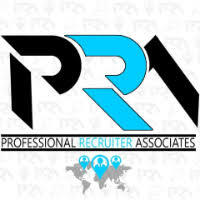 For immediate consideration, please forward a copy of your current resume to info@profrecruiters.com referencing job #1727 or a link to this job.